CRYSTAL LAKE, Ill., July 14, 2016 /PRNewswire-USNewswire/ -- Through its 2,000 global corporate clients in the loyalty, rewards and incentive industry, National Gift Card Corp. (NGC), a leading B2B gift card solution partner with more than 450 gift card options for use in the U.S., Canada and Europe, released its mid-year gift card redemption statistics for U.S.-based loyalty programs. Big Box retailers (29 percent). In fact, just eight national retailers account for over 1 out of 4 gift cards redeemed through loyalty programs. Gift cards in the Home Improvement (6 percent), Casual Dining (6 percent) and Department Store categories (5 percent) occupy the redemption middle ground. Casual Dining, as a category, accounted for 40 individual brands. The lowest gift card redemption in B2B programs occurs in the Sports & Wellness (1.5 percent), Grocery/Pharmacy (1 percent), and Travel (0.5 percent) categories. Closed Loop gift cards (cards that may be spent at a specific retailer) outpace Open Loop gift cards 4 to 1. In addition to the standard category statistics on gift card redemptions in B2B programs, NGC reports that the majority of U.S. participants who earn a reward from their employer or loyalty program choose to receive a physical gift verses a digital one (87 percent select physical cards over digital when given the choice). "There is still an incredibly strong demand for people who want to hold their tangible reward and/or don't quite trust digital gift card redemption yet," said National Gift Card President Eric Thiegs. However, he went on to say, "We anticipate the shift of those statistics towards a 50/50 mix in the next 10 years as more Gen Z and Gen Y (Millennials) are earning rewards from their B2B marketplace programs. But currently it's the Gen X and Baby Boomers at the height of their careers or heading into retirement who are earning and redeeming the most loyalty points, and this group will undoubtedly want to see physical gift card redemption as an option in their program." While physical gift cards will continue to serve as the foundation of traditional loyalty programs with a mixed aged demographic, Thiegs shared that digital gift card redemptions are increasing by double digits in programs utilizing NGC's gift card API where there is a need for the end recipient to receive their gift card in real time after they redeem their points, miles, or cash-back rewards. "There is a growing sub-set of people who want their gift card immediately when they redeem points," said Thiegs, "and that's where loyalty program managers will want to ensure they have tapped into a gift card API provider like NGC." The above statistics were generated from monitoring the gift card purchases of over thousands of corporate clients in the loyalty, rewards, and incentive markets generating several hundred million dollars in B2B gift card volume in the United States. A specific breakdown of NGC category sales for 2015 can be found in the graphic that accompanies this article. To see a video of NGC's fully automated gift card fulfillment process, go to: https://youtu.be/rChnpRessfM. About National Gift Card Corp.: National Gift Card Corp. (NGC) is the leading marketer and supplier of gift cards for use in loyalty, incentive and rewards programs. The agency offers a wide variety of retail, restaurant and prepaid cards along with secure online ordering, distribution, fulfillment services, a Gift Card API and customized programs designed to reach each client's specific objectives. NGC continues to develop innovative technology solutions and delivers the best value to its customers. National Gift Card operates across the U.S. and in Canada, and in the United Kingdom and across Europe as NGC Corp. Europe, Ltd. National Gift Card Corp. is headquartered in Illinois. 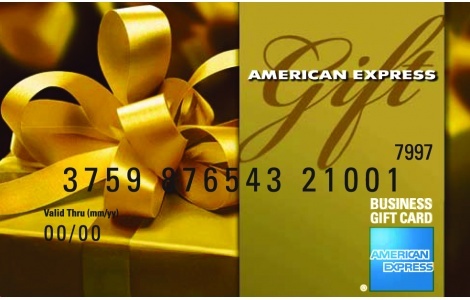 To learn more about National Gift Card Corp., visit http://www.ngc-group.com or call +1.888.472.8747.